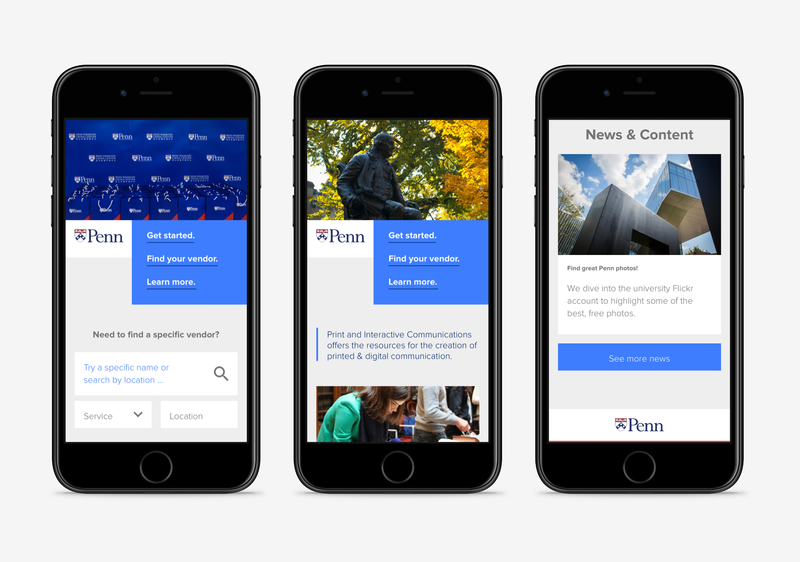 Connecting a university to creative services. 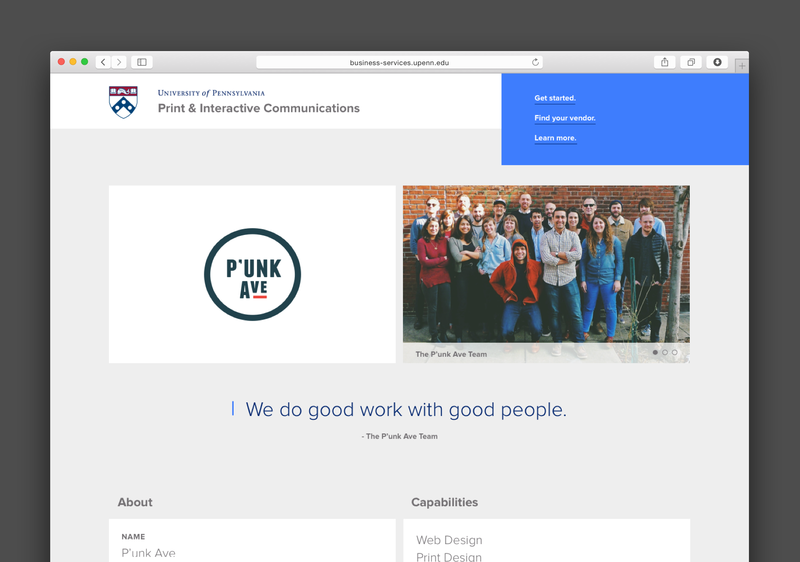 The Department of Print and Interactive at the University of Pennsylvania connects clients with creative services. Their team needed help managing the volume of client requests. 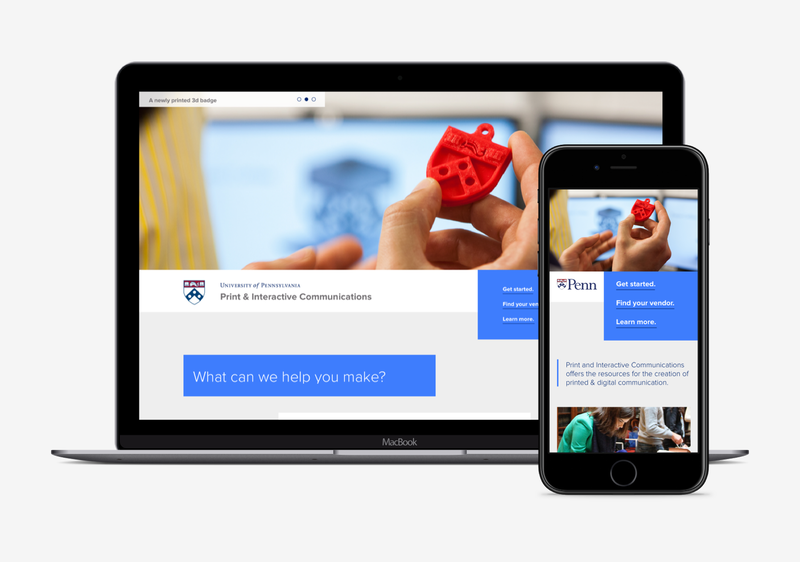 Create a platform for the department to educate and direct clients with common requests during the creative and production processes. During an interview phase, my research partner and I were able to understand each step a client takes with the department and suggest approaches to streamline the process. 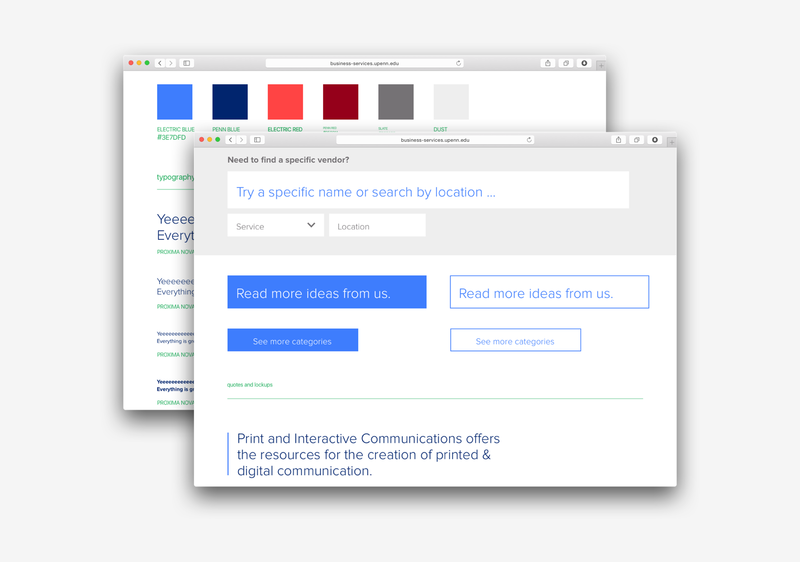 To help facilitate the creative process for clients, my user experience partner and I created a prototype intelligent search flow. This flow went beyond basic searching and made dynamic suggestions. 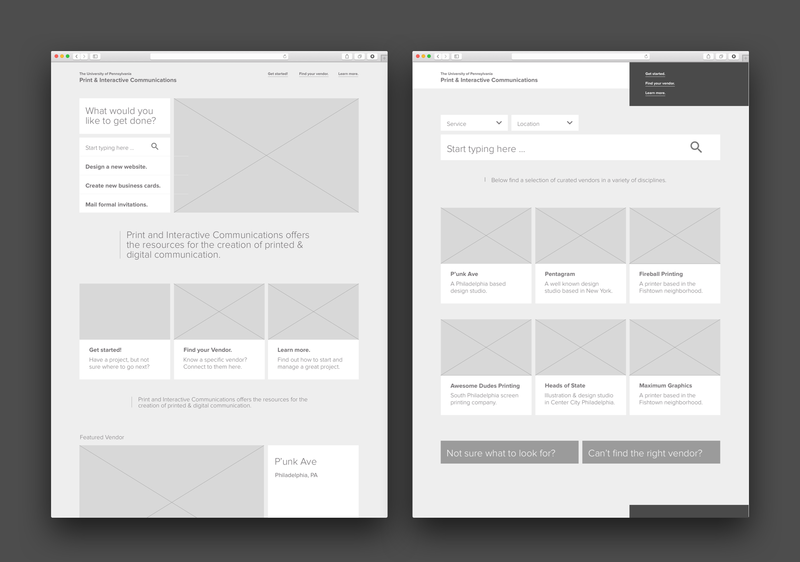 The final deliverable was a flexible style guide and user strategy that intelligently guides clients with their projects, but allows for team members at the department to step in where needed.